The Virginia Children's Chorus offers an exciting and artistically comprehensive program designed to develop both musical sensitivity and choral skills. Chorus members look forward to deepening their appreciation of the vocal arts through weekly training in healthy vocal technique, solfege, language and diction, expression and concert decorum. The curriculum follows the educational philosophy of world-renowned Hungarian composer and music educator Zoltan Kodaly. Kodaly believed that a child's earliest musical experiences should be firmly rooted in the folk songs of his or her own culture, and that music literacy - the ability to read music - is key to enjoyment and artistry. Much care is taken to provide wonderful age-appropriate choral literature, drawn from many cultures and time periods - from sub-Saharan Africa to Schubert! Programs highlight ethnic music from around the world and newly commissioned choral works for children, as well as art songs, rounds, classical, sacred and twentieth-century selections. Through the study and performance of such a widely varied, innovative repertoire, members of the Virginia Children's Chorus stretch their skills and imaginations as they broaden their understanding of the world's diverse musical languages. Active music-making increases children's sensitivity to the art in music and provides cultural enrichment for the singer and the community. Positive experiences in choral singing provide children with opportunities for self-expression, achievement and joy. 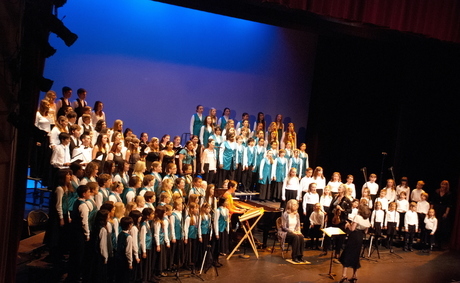 The Virginia Children's Chorus offers four choir groups and five levels (two Training Choir levels), ranging from beginner to advanced, providing an appropriate level for each developing singer. Every child's development is unique: a child may sing in a given choir group for two to three years before being asked to audition for the next level. Placement is based on the singer's maturity, experience, age, vocal needs, vocal color, range and musicality. Each child is also placed in one of seven levels of solfege classes (sight-reading and ear-training), according to his/her entrance audition and progress throughout the year. Go to our "Support VCC" page to find out how you can donate to VCC just by shopping at Kroger, AmazonSmile and on hundreds of websites through GoodShop.com! Our sponsoring companies: Econo Lodge Town Center, Kroger Community Rewards, Northrop Grumman Inc., and Towne Bank. The Virginia Children's Chorus is a 501(c)(3) non-profit, non-sectarian, equal-opportunity cultural organization. 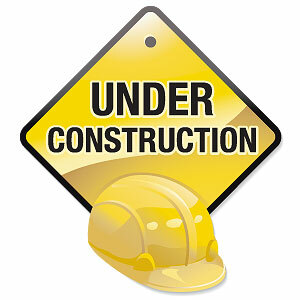 in the employment of faculty or staff, the admission or treatment of students, or in the operation of its programs. Copyright © Virginia Children's Chorus 2011. All Rights Reserved.